Never judge a book by it’s cover. 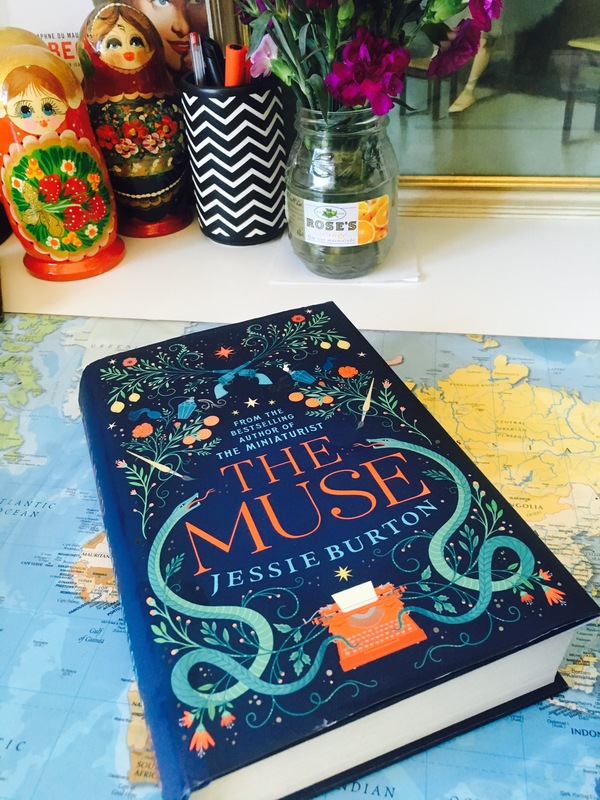 Unless it is The Muse by Jessie Burton because that cover made me buy it, it is so pretty. The colours are so bright. And it is a great display piece in photographs and on my book shelf! Shallow me hey! I stand up, I am her. I like pretty things. So what about the story? I’ll cut to the quick. Loved it. From the opening page I wanted to meet the protagonist, Odelle Bastien, and be best friends with her. 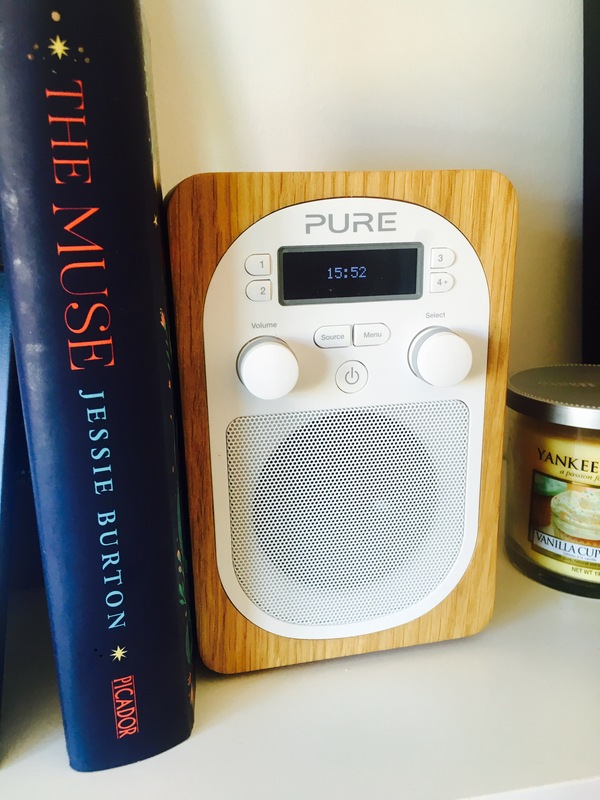 She has a lovely voice. The story is set in two times. 1967 is the story of Odelle, a young black woman who is living and working in London where she has been for five years since moving from Trinidad. In 1936 we follow Olive Schloss who is living in Spain with her parents, her father being an art dealer. The story moves between these two women’s lives as we begin to learn the relevance of that and how their lives are intertwined despite the span of years. Odelle is fairly disillusioned with life in London, the weather, the lack of opportunity, and the racism. The encounters she has with racist attitudes are horrifying by todays standards for many of us although they were commonplace in the 1960’s and for some, still are today. Her job at the start of the book is selling shoes, something that she hates. Odelle is a writer and her solace in this rainy city is her trusty typewriter. She manages to escape the toe-less shoe buyers and gains employment in an art museum working as a typist for Marjorie Quick. A typist despite her degree. The story moves on quickly as Odelle meets Lawrie at her friend Cynthia’s wedding. Odelle reads a poem during the reception which Lawrie compliments her on and begins pursuing her. Though she is not accepting of his advances he continues. Learning that she works in an art gallery he meets her there one morning with a painting wrapped in paper. Miss Quick is shown the painting and apparently flees. The story moves to 1936 where we meet Olive and her parents as they move into a large rented house in rural Spain. Shortly after arriving Theresa and Issac Robles appear with offerings of food. They are locals and brother and sister. Theresa manages to gain employment at the house which appears to have been her agenda. And thus the scene is set for this part of the story revolving around the three main characters of Olive, Theresa and Issac. Olive has got a place at The Slade School of Fine Art to study for a degree course in Fine Arts. She is a talented artist it appears though as a woman her father, Harold, would not recognise this. She is aware that no matter how great her talent her father would never praise her art knowing the work was done by a female. Olive still enjoys painting though so does so secretly and never takes her place on the course. The landscape and Olive’s feelings for Issac seem to bring something marvellous out in her art work. Isaac is also an artist but not as proficient as Olive. Nevertheless Issac is retained by Olive’s mother, Sarah, to paint a portrait of Olive and Sarah to give to Olive’s father. On the day of the unveiling Theresa has swapped the Issac painting for one completed by Olive. Olive’s father is ecstatic with the completed piece of art and immediately seeks to sell it in Paris, much to the dismay of Olive’s mother! Harold commissions Issac, who he believes painted it, to do more paintings. Olive duly provides them. I don’t think it would spoil the book too much to let you know that the painting that Lawrie presents is one of Olive’s. There has to be a link right? The joy of the story is learning each person’s story, as their lives unravel before you. Olive and Odelle are key to this but so are Lawrie, Issac and Theresa. Each of these characters jumps off of the page and as I write this they’re still very much alive in my head. I can just summon them up! 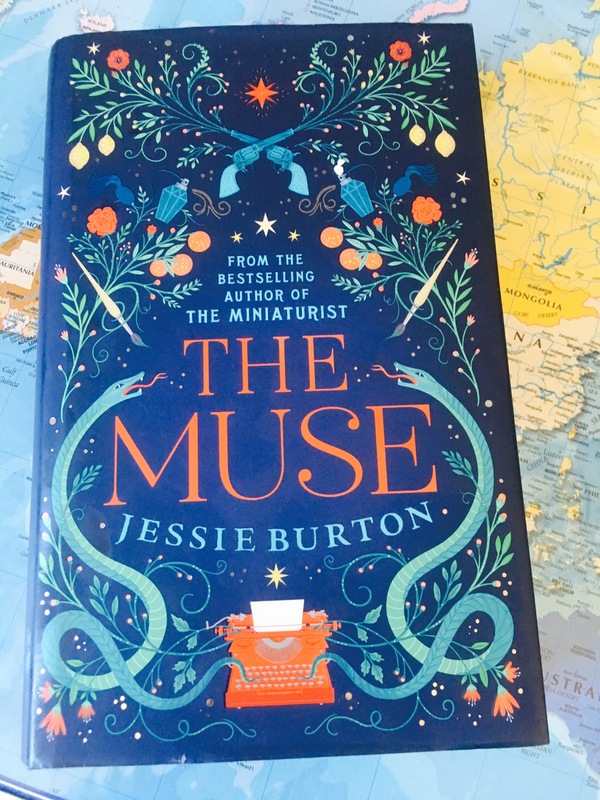 This is the second book written by Jessie Burton who appears to be a bit of a sensation judging by the PR work around her. 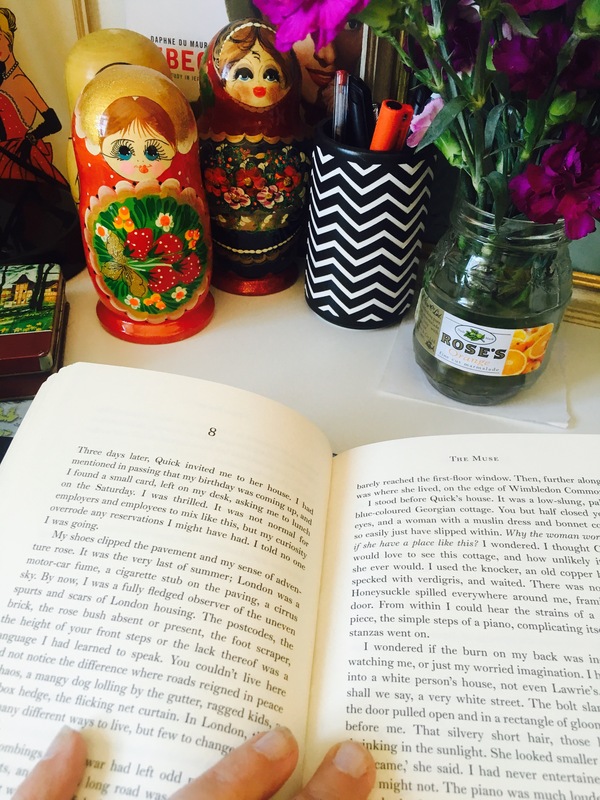 I have yet to read The Miniaturist, her first novel, though I think I tried. I must try again! 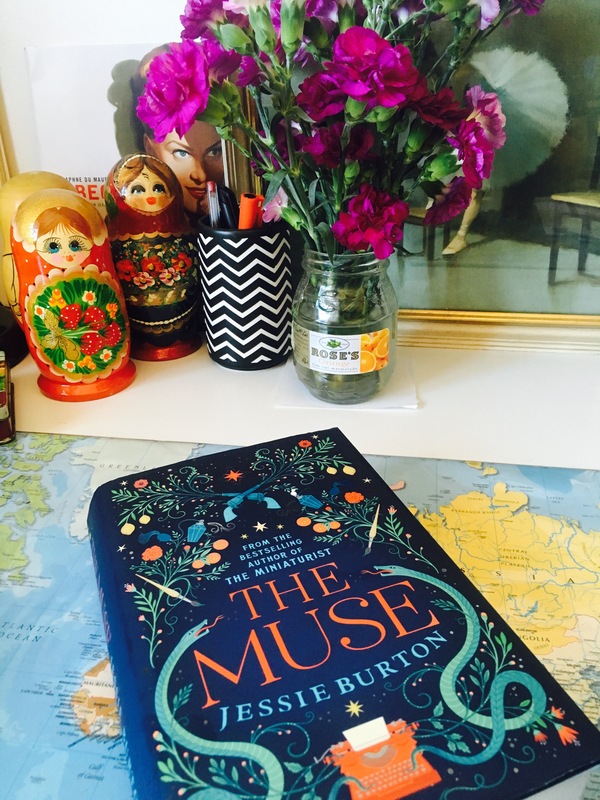 The Muse was actually too good to put down. Or is that me? I know I am an all or nothing girl!